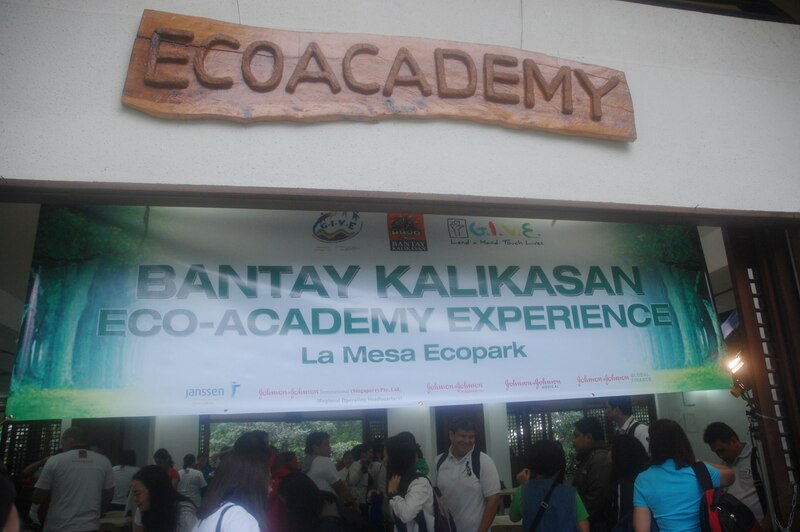 In spite of the stormy weather, eco-advocates from the Johnson and Johnson (Philippines) Inc. trooped to the La Mesa EcoPark last June 24, 2011 for the Eco-academy Experience. 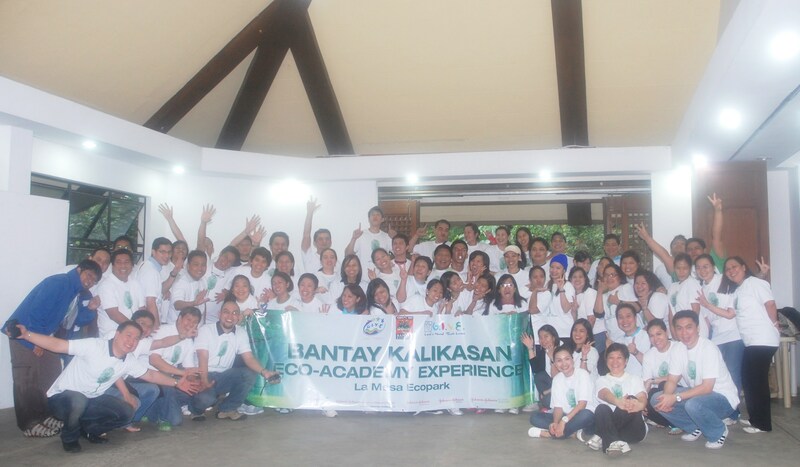 This company-wide, cross-sector activity was held in cooperation with ABS-CBN’s Bantay Kalikasan. The Johnsonians attended two environmental modules that day – “Composting and Vermi Culture” and “Organic Farming and Community Gardening”. Bantay Kalikasan’s Daryn Castillo kicked off the proceedings with the opening remarks, followed by a few words from Mary Grace Gervasio (Johnson & Johnson). 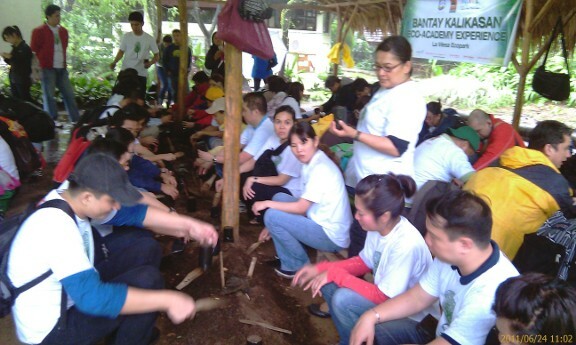 After a short audio-visual presentation, the attendees were divided into groups for the team games. Everyone had a great time! 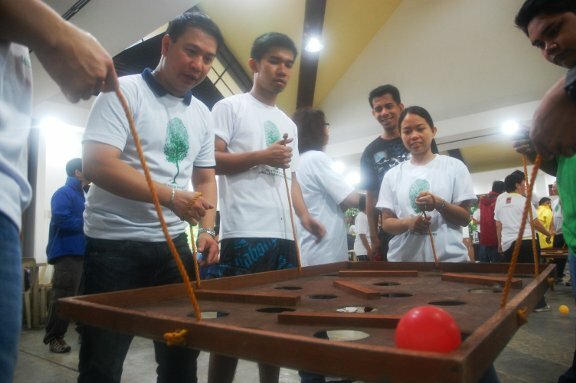 The J&J volunteers showed competitiveness and great teamwork while having fun. The module on Composting and Vermiculture was especially helpful since it also helped dispel some of the misconceptions that a lot of us have on earthworms. 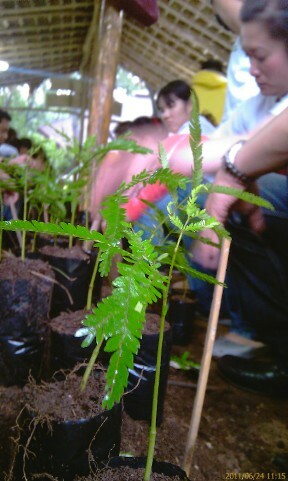 The Organic Farming and Community Gardening was next, and to drive home the message, this session culminated with a potting and planting activity. Everyone was hauled out from the relative comfort of the meeting hall and into the nearby planting shed located a few meters outside. The volunteers gamely went outside and got their hands dirty. After getting back into the meeting hall, the prizes were handed to the game winners. BK’s Daryn and J&J’s Buddy Antonio gave the closing remarks. The activity ended with a sumptuous lunch and a reminder for everyone to drive safely. 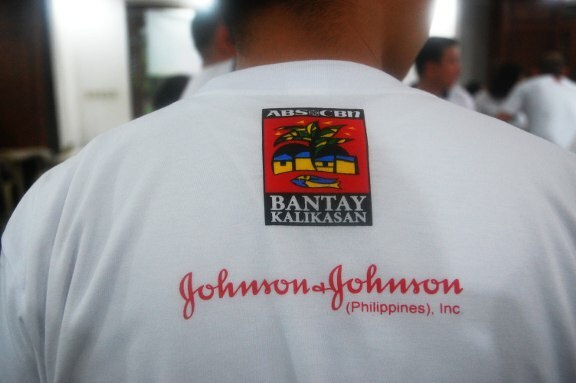 Giving and volunteerism has always been a part of the Johnson and Johnson spirit. The J&J Credo states that …”We are responsible to the communities in which we live and work and to the world community as well.” Well, that Johnsonian spirit was definitely present during that day. Read the J&J Credo here.